Ronald Reagan was right to say that the most terrifying words in the English language are: “I'm from the government, and I'm here to help.” Perhaps no federal agency has demonstrated that truth better than the Consumer Financial Protection Bureau (CFPB). In the name of protecting consumers, the unaccountable agency keeps creating rules and regulations that make it harder to access the products and services that most improve our lives. The latest example comes in the form of new rules for prepaid debit cards and mobile wallets. The massive 1,689-page prepaid card rule, which along with numerous other expansive regulations, was pushed out near the end of the Obama administration, and will impose significant burdens on prepaid cards that will inevitably reduce their utility to the very communities that benefit from them the most. Prepaid cards are an important financial tool for tens of millions of Americans. 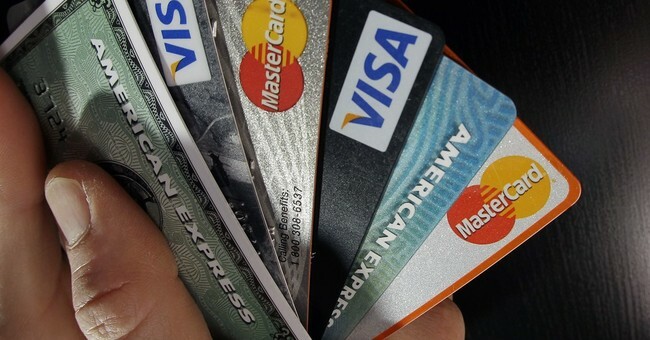 Usage of prepaid cards has exploded in recent years, up from just $1 billion in 2003 to an expected $112 billion in 2018. Lower-income individuals who often lack access to traditional banking services are especially likely to find the cards useful for managing their financial affairs. Prepaid cards make it easier for individuals to shop or pay their bills on time, and are typically cheaper than other available alternatives. Unfortunately, the CFPB's one-size-fits-all rule threatens to change all that. Even as the growing usage of prepaid cards suggests that consumers like the product they are getting, the CFPB insists that they must be protected through unnecessary but expensive disclosure rules, new mandated error resolution procedures, and various other new restrictions and limitations. Included in all those pages of regulations are also picayune trivia like the font size and colors that must be used on the disclosure forms presented before purchase that no one will actually bother to read. All told, CFPB's rules are expected to cost the industry into the hundreds of millions, and possibly more than a billion dollars. These costs will be passed on to consumers through higher prices and fees or reduced availability. Some of the features CFPB is demanding sound nice in theory, but they are the sort of options that are already available through more traditional financial services. Forcing those rules onto the products that exist primarily because they offer a cheaper alternative to banks is effectively the same as wiping out those choices altogether. The millions of Americans who have chosen to forgo the features of traditional financial services in order to save money, or because they could not afford them at all, are effectively having their choices overridden by government bureaucrats who think they know what is best for everyone regardless of individual circumstance. To make matters even worse, the rule is overly broad and would also impose its new burdens on innovative digital payment services like Google Wallet and PayPal. Who knows what great future innovations will be snuffed out by the precedent set through including these vastly different services under the same regulatory umbrella? There's still time for Congress to use the Congressional Review Act and its procedures for overriding recently enacted regulations to undo this Obama-era agency overreach. A resolution introduced by 34 members of the House Financial Services Committee, H.J. Res. 73, would put a stop to the CFPB's misguided effort. The full Congress must now take it up to protect a vital industry and consumers.